Two complimentary tickets to the Bay Area SMACNA Annual Installation of Officers Annual Dinner Event. Opportunities for product presentations and/or professional seminar presentations for the contractor membership at regular or special meetings. The opportunity to purchase tickets to Bay Area SMACNA Chapter Events at cost. Advanced registration for the Annual Bay Area SMACNA Scholarship Trust Golf Tournament. Annual dues contributions flow directly to the Bay Area Scholarship Trust and is tax-deductible. 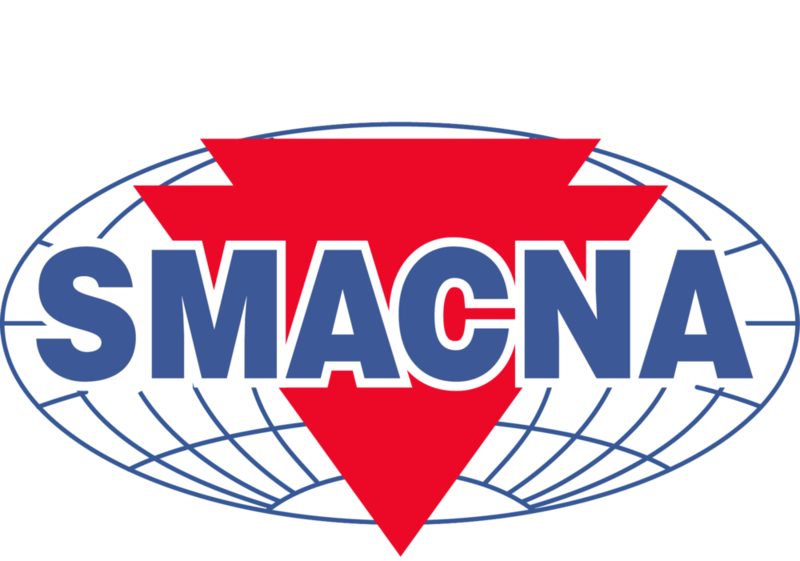 For more information on becoming a Bay Area SMACNA Member, call Bay Area SMACNA at 510-635-8212 or e-mail info@bayareasmacna.org. Provides Administration and I.T. Services to Taft-Harley Trust Funds..
Bigge has one of world's the largest selections of new and certified used cranes for sale or rent. DFG Private Client provides guidance to create and execute financial solutions for clients, families and businesses. East Bay headquartered business bank that offers a full array of credit and cash management products. California Ravelco protects against vehicle theft by selling and installing the Ravelco Anti-Theft Devices. Provides web-based health and safety risk management systems to construction and related industries. Integrated wealth advisory, outsourcing, audit, tax, and consulting services to help clients succeed professionally and personally. Dewalt designs and optimizes professional workhorse solutions – tools, accessories and service – to ensure confidence for the toughest jobsite conditions. Donesafe is a safety compliance cloud-based software eliminating long forms and jargon, and chunky interfaces enabling any company to manage records, incidents, audits, observations. Fleet Management Services including acquisition, funding, fuel and maintenance programs, and resale of company vehicles. Gallagher Construction Services is dedicated solely to serving the surety, property/casualty insurance and risk management needs of the construction industry throughout the United States. A distributor of sheet metal pipe and fittings, rain gutter registers and grills, mechanical fasteners, insulation, adhesives and tools. Hilti provides industry leading professional tools,fasteners and fire stopping solution. Local account managers are highly trained product and application experts who provide the total solution to any project. Building materials manufacturer participating in fiberglass insulation and commercial roofing products. A benefit advisory firm that helps construction companies achieve a better bottom line. A health care organization with a mission to provide highest quality care for their members and their family. Kaiser Permanente/ Kaiser Foundation Health Plan, Inc. Licensed Attorney and contractor providing legal representation to members of the construction industry. Mestek Machinery is a provider of reliable and long-lasting duct work machinery and sheet metal bending equipment. Manufacturer of heavy-duty industrial electric power tools, including hammers, hand held sanders, cordless drills, screwdrivers, and more. Provides provision of a broad range of products to the HVAC industry. PlanGrid is the #1 construction app to reduce repeated trips to the trailer, minimize rework, and find answers faster through instant collaboration. Providing the widest variety of contractor supplies, at the most competitive prices with world class customer service. Credit Union, serving the Bay Area and beyond with car loans, mortgages, savings, insurance, and investment advice. Manufactures representative of boilers, pumps and auxiliary equipment. Mobile time, labor, and project analytics platform to collect and analyze field data on job sites. Siemens builds HVAC instrumentation and environment controls and is one of the world's leading suppliers of energy management and efficiency solutions. T & A Supply, Inc.
TEM is the Leading temporary and emergency cooking and heating company covering all commercial and industrial structures. Applies technology to make field and mobile workers in business more productive. Solutions are focused on applications requiring position or location. Provides OSHA safety training and OSHA construction equipment training. Specializing in retirement maximization, insurance services and estate planning for union companies. Full service, independent brokerage firm working with top financial advisors all over the United States.